This book aims serving students, developers, technical leads and to some extent project managers or consultants by demonstrating a structured documented modestly sized project. 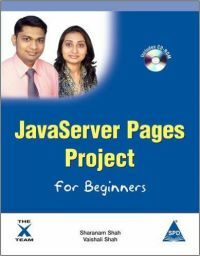 Learning the project development and documentation is done through the construction of Book Management and Sales System using MySQL Community Server as the data store with Java server pages as the programming environment of choice. Finally, the project developed is deployed using Sun Java system application Server 9.1 Update 2. This is something application developers would definitely appreciate. Topics: Requirements gathering understanding business requirements, software requirements specifications project documentation data dictionary and directory structure, common include files, low Level design documentation, user manual project deployment deploying using sun Java system application server 9.1 update 2 implementation of project add onsCaptcha, FCKeditor, google checkout technologies covered in this bookShopping cart google checkout tag clouds session management cookie management Ajax [jQuery] password strength captcha rich text editor blobs [Images /PDF] directory search email [Java Mail API] text suggest client side validations content management role based user management contents of the CD-Rom setup files for Sun Java system application server 9.1 Update 2, MySQL Community Server 6.0.6, MySQL connector/J 5.1.6, ReCaptcha and FCK editor. Source code for the project in this book. About the authors the author Sharanam Shah[www.sharanamshah.com] has 7+ years of IT experience as a Developer, Database Designer, Technical Writer, Systems Analyst and a Lead Architect. He currently consults with several software houses in Mumbai, India, to help them design and manage database applications.Vaishali Shah[www. vaishalishahonline.com], his wife, co-author and a technical writer by profession, has a rich experience of designing, developing and managing database systems.